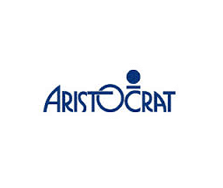 Aristocrat is a slot manufacturer with over 60 years’ experience who have more than 2,200 staff throughout the world. Based in Australia, they’ve managed to build themselves a reputation as a premium provider of slots to the gaming industry (especially in land-based casinos) as they have slots in more than 200 countries around the world. When it comes to online slots, they don’t have that many online. Saying that, more titles are being added more frequently and found at more online casinos. They have agreements with Game Account and NextGen Gaming who are producing their slots for online play. You will find their slots scattered at various online casinos but you won’t find one casino online with all their titles (just the way it is). Like Novomatic, Aristocrat slots are distinctive in the way their look and sound – this is something I quite like though as it reminds me of playing their games in Las Vegas! Their most popular slots (named the Classics) include 50 Dragons, Where’s The Gold, Queen of the Nile II and Miss Kitty which have all been reviewed here at Online-Slot.co.uk.